Eric Page is a partner in the Tampa office of Shutts & Bowen LLP, where he is a member of the Business Litigation Practice Group. Eric works with clients to address and solve their problems in and out of court. He regularly works with owners, managers and developers of property, tax consultants, asset managers, referral sources, in-house counsel and business decision-makers. His experience includes handling business disputes, commercial leases, zoning, land use and administrative matters, title issues, constitutional and statutory property rights, contract disputes, appeals, tax deeds, and ad valorem tax disputes involving property assessments. Eric’s goal is always to identify what each client needs, and to ensure that the firm provides legal services that efficiently reach that goal. 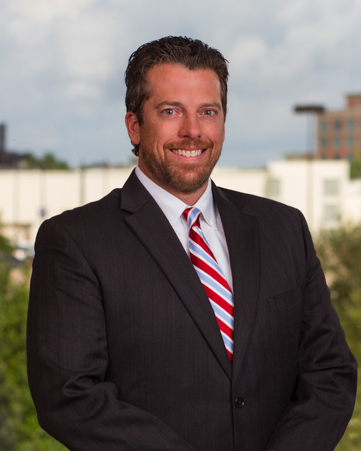 Eric is active in the Hillsborough County Bar Association, and in the community at large as a Board Member and as the Real Estate Development Committee Chair of the Corporation to Develop Communities of Tampa. While at Stetson College of Law, Eric was a member of the Law Review and the Moot Court Board. Eric actively supports Stetson students by volunteering to critique or judge their advocacy teams and events. Before law school, Eric coached seven years of college baseball and one year of high school baseball.